CitiKitty is a toilet-training method for cats that removes the need for litter and litter boxes. 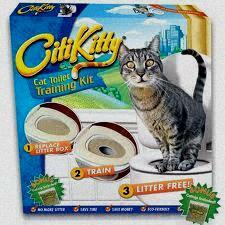 Invented by a young cat owner, the CitiKtty has many advantages and disadvantages. Whether your cat is intelligent or just plain finicky, CitiKitty could be right for you. CitiKitty was invented by marketing intern Rebecca Rescate. She came up with the idea for CitiKitty after moving into a small New York apartment that lacked adequate space for a litter box. She developed the product, which helped her eliminate the need for a litter box. Using money that she had been given as a wedding gift, she launched CitiKitty Inc. in 2005 to sell her invention. CitiKitty became popular in 2011 after Rescate’s invention was featured on the ABC reality television series “Shark Tank”. A CitiKitty kit comes with a training seat, a training insert, a training guide, catnip and a card that lists usage tips. The training seat is placed over a toilet between the bowl and the lid. The training seat is then filled with litter and sprinkled with catnip to attract the cat. Initially, the cat will use the training lid as a conventional litter box, albeit one on a toilet. Each lid comes with five perforations. As the cat becomes accustomed to using the litter box on the toilet, the perforations can be cut out. When the first perforation is cut out it makes a barely discernible hole in the middle of the training lid. As the cat becomes habituated to the hole, a larger hole can be cut out. Eventually, the cat will use the toilet with the largest hole size, and the lid can be completely removed. CitiKitty has many positive features. Most cat owners use it to avoid the mess and expense of litter. Unlike conventional litter boxes, CitiKitty helps keep odors in check. Not only does it eliminate odors, but it also provides an easy solution for cat owners who live in small apartments or houses. CitiKitty is a gradual toilet-training method, so the cat can slowly become accustomed to its new porcelain litter box. Other toilet-training products use three or fewer steps to train cats. CitiKitty has five steps, but it can be customized to have as many as 10 different-sized holes. CitiKitty is also cheaper than many similar training products on the market. It costs about $30, while other products cost at least $60. After the training system is complete, there is no need to buy expensive litter anymore. Cats can quickly and efficiently eliminate in the toilet. CitiKitty even offers a useful extra: an automatic toilet flusher that will sense when your cat jumps down and automatically flush the toilet for you. CitiKitty also has some disadvantages. Due to the gradual nature of the system, it entails a great deal of time and patience. Cats can be stubborn and set in their ways and may not want to give up their litter box. 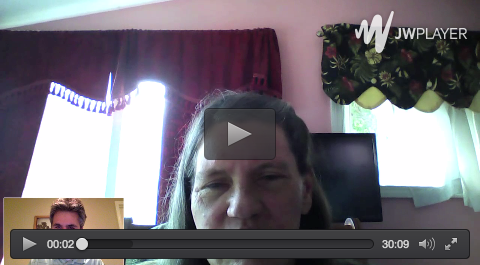 CitiKitty reviews often mention the frustration of owners who give up before their cat is ready. Some cats will never become accustomed to CitiKitty and prefer the old-fashioned method of elimination. Luckily, CitiKitty is fairly cheap, so cat owners will elect to try the system anyway. Some temperamental cats may be afraid of water. This could increase the training time as well as the likelihood that the cat will never adjust to the CitiKitty. 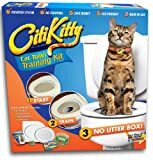 CitiKitty reviews also mention the short-term mess that the training lid causes can be more than that of the litter box. The CitiKitty is relatively shallow and may not be to every cat’s taste. For houses with one toilet and limited time to clean, the mess that the litter in the training lid creates in and around the toilet may not be worth the hassle, even if it means having a cleaner house in the long run. Cats mentioned in CitiKitty reviews are sometimes confused and prefer to use other spots in the bathroom like sinks, tubs and even the carpet. Depending on whether the owner is willing to endure these accidents during training, CitiKitty may not be the best product. One problem acknowledged in CitiKitty reviews is that heavier cats can be reluctant to use CitiKitty as it can bend or shift slightly under excessive weight. Fastidious cats may not care for this movement and may refuse to use the CitiKitty. The CitiKitty system controls cat odors in your house and saves you money. If you have the patience and your cat successfully completes the CitiKitty training method, it leads to a fresher house and a great conversation starter. Considering the pros and cons of the product can help you decide whether you want to try the CitiKitty for yourself.